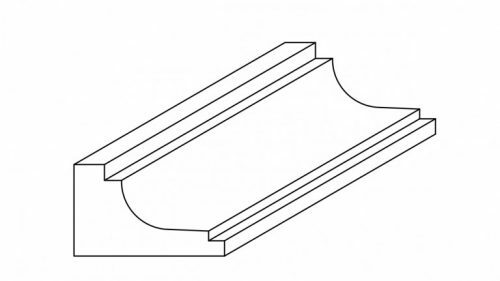 All moldings are available for immediate shipment out of our Maple Grove distribution yard. 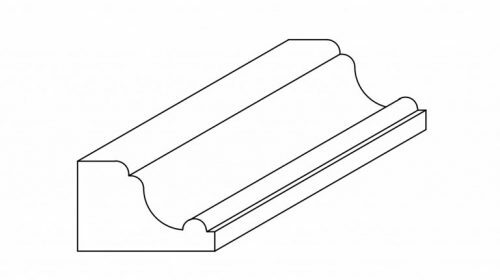 Our mouldings are made of the highest quality hardwoods, come with moulded finish and run in length heavy 10’ to 12’. All mouldings are packaged in small quantities giving you the flexibility to order as little as 40 lineal feet. CV10 Cabinet Cove – 3/4" x 1-1/8"
CV12 Cabinet Cove – 3/4" x 1-1/4"
CR02 Shaker/Crown – 3/4" x 2-1/4"
CR03 Shaker/Crown – 3/4" x 3-1/4"
CR22 Crown – 3/4" x 2-1/4"
CR30 Crown – 11/16" x 3-1/4"
CR40 Crown – 3/4" x 4-1/4"
CV66 Basic Cove – 3/4" x 3"
CR04 Contemporary Cove – 3/4" x 3-3/4"
CR05 Contemporary Cove – 3/4" x 4-3/4"